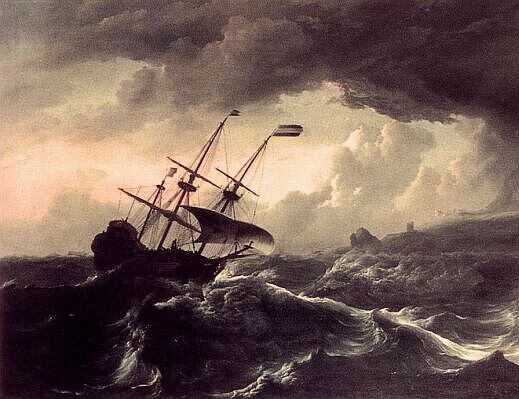 Through storm and darkness, through the challenges of exploration and trade and war, man has found his way by sea and air guided by navigational timekeepers. It all began with one man, one of the greats of English horology, whose story has oft been told and will not be repeated here. The marine chronometers born from his life's work became the foundation of nautical navigation, and thus central to the last age of empire building and world exploration. Upon their accuracy rode the lives of men and ultimately the fate of nations. They were undoubtedly the most precious and important watches of their day. Every watch made today with "chronometer" printed on its dial attempts to link itself with those vital tools, to steal a little light from their halo. With the turn of the 20th century the problem of navigation extended itself to the sky. While it was often miraculous that early airplanes stayed aloft at all, the martial necessity and developmental funding of the Great War quickly forged the early biplane into a far ranging tool for reconnaissance and combat. Some of the established methods of nautical navigation were adapted and applied to form the new basis of early aerial navigation, principally deduced, or ded. ("dead"), reckoning. In the post-war era of advancing aviation technology, expanding use by both military and civil organizations, the brief golden age of airships, and the much celebrated challenge of long-range flight and exploration, the need for a kind of aviation "chronometer" led to the development of the first wristwatches purpose-designed to aid in navigating the vast oceans of air. Central to the development of the early Navigators wristwatches was Professor Philip Weems of the US Naval Academy. Weems had spent much of his life improving on the techniques of celestial navigation, even founding his own school in 1928 to teach his namesake System. The "Seconds-Setting" watch designed by Weems and first produced by Longines in 1929 was the first wristwatch purpose-built for aeronautical astro-navigation, to be used in conjunction with a special airplane sextant, compass, and of course the best available charts. Now simply known as the Longines Weems, it was a simple center-seconds wristwatch with a rotatable seconds bezel and lock crown. At that time, center-seconds was almost completely unknown in wristwatches, requiring a complex and expensive indirect design which thickened the movement considerably. For most of their history, marine chronometers had been content with subsidiary seconds display. At aviation velocities, knowing and being able to instantly acquire the precise second became critical, as a deviation of only a few seconds could lead to huge navigational errors. 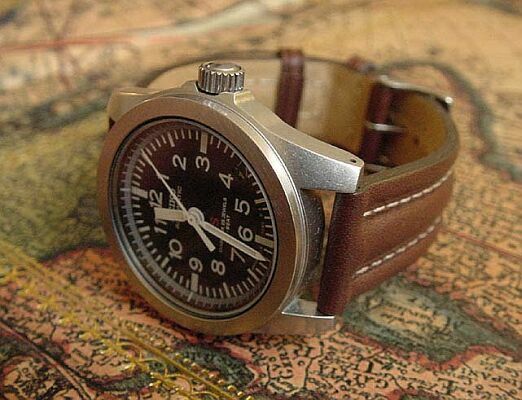 The seconds bezel allowed the navigator to synchronize the seconds hand with correct reference time before takeoff, and to make manual corrections to radio time signals while in flight, thus eliminating any "chronometer error" and the navigational errors that would result. An improved, or at least more complex Navigators wristwatch based on the Weems System was designed by renowned aviator Charles Lindbergh, and first produced by Longines in 1932. His "Hour Angle" wristwatch adopted the rotatable seconds inner dial originally used on the earliest Weems Seconds-Setting watches, freeing the bezel to aid in calculating present longitude via the Greenwich hour angle. Like the earliest Weems watches it was first produced in a very large chronometer-like 48mm size most useful to navigators (shown above left), and then in a much more modest 33mm size, which was still fairly larger than the typical <30mm Weems. The Second World War naturally forced technology forward, and refined existing forms, forging the airplane into a decisive tool of war. Like the sailing ships of centuries prior, the fate of nations hung upon them. Under the chaos of wartime appropriations anything even marginally suitable for use as a navigation watch was adopted, while pure Navigators watches were developed and issued alongside. With the reluctant adoption by watchmakers of a small lever that can stop a balance wheel on demand, we finally entered the era of the "hack watch," and while second-setting watches would serve concurrently with hack watches for the duration of the war, it was the hack watch which would define the military watch in years to come. Weems' simpler Second-Setting design was adopted by the US Army Air Corps under the "A-11" designation in 1940, and a year later by the British Royal Air Force (RAF) under the 6B/159 specification, which otherwise consisted of similar white-dialed hack watches. Yet this was the final hurrah for Seconds-Setting watches, with their gentlemanly presence, elaborately crafted complexity, and refined marine chronometer aesthetic. Throughout the war center-seconds remained the primary distinction between the Navigators hack watch the basic military wristlet field watch, due to the added expense of indirect center-seconds. 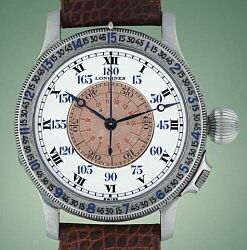 The definitive Navigators hack watches of the Allied and Axis powers shared the same basic characteristics: black dial, while Arabic numerals and indices, white hour, minute, and center-seconds hands; but adopted radically different sizing akin to the dual offerings of the Longines Hour Angle. For the US and England this was exemplified by an American watch also designated A-11, but which had no relationship with the early A-11 Weems which it succeeded. By contemporary standards they were small watches, around 31mm, but highly legible. They were first adopted by the renamed Army Air Force in 1941, and produced in large numbers by Elgin, Waltham, and Bulova, with a similar watch made in small numbers for the US Navy by Hamilton. The RAF also adopted the Waltham A-11 in 1942, under the 6B/234 specification comprised of similar black-dialed hack watches. 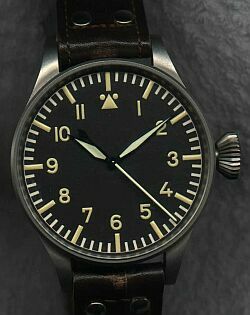 A characteristic design distinction between the A-11 and the other 6B/234 Navigators watches was that it featured additional Arabic numerals outside of the minutes chapter ring to denote 10 minute increments. The Beobachtungsuhren (lit. "Observation clocks"), or "B-Uhr," of Germany's Luftwaffe were 55mm in diameter and not intended to be worn on the wrist as such, but on the arm outside of a bulky flight jacket, or on the navigator's thigh. B-Uhren were produced by IWC (shown above right), Laco, A. Lange & Sohne, Stowa, and Wempe. They were held to a standard of performance similar to that expected of marine chronometers, and featured antimagnetic protection that chronometers lacked. IWC's B-Uhren even shared a movement with a small number of British Royal Navy deck watches. Within another major Axis power, Japan, Seiko produced a staggering number of military watches for the Imperial Army and Navy. This included a 49mm navigation watch, based on a Seikosha pocket watch calibre, produced for the Air Arm of the Navy. If it is the place of a civilian non-pilot to have an opinion on the subject, I think it is the B-Uhr which is the pinnacle of the wartime Navigators watches, if judged as a tool useful for a navigator in doing his job. However, the Navigators watch in its most celebrated, and now classic form, is a product of the early post-war era. With the close of the Second World War we entered the militant peace of the "Cold War." Rather than the near nullification of military forces which usually follows successful military campaigns, we saw a continual escalation of military budgets, centered around an expensive arms race to improve military technology more quickly than the new enemy. In the era of nuclear bombs the airplane ascended to its most powerful military and political role in history, destroyer of cities and nations, a strategic weapon. It was in those early days of the Cold War, as two nuclear superpowers emerged from the carnage of the early 40s, that the Navigators watch achieved its classical zenith. No watchmaking house can claim credit for its design, or exclusive rights to authentically recreate its form. This British Air Ministry's design issued to the RAF under specification 6B/346 began its military service in 1948. More commonly known as the "Mk. 11," the 6B/346 design reflected lessons learned during the war, and was much larger watch than most of the wartime 6B wristwatches. Averaging 36mm in diameter, it was larger than its contemporaneous American counterpart the A-17, used by the finally Army independent US Air Force. The design of the 6B/346 was clarified and optimized for its function in aiding celestial navigation, and all Mk. 11 wristwatches were Swiss made to specification -- unlike the 6B/159 and 6B/234 which included anything suitable for navigation that was available. Its characteristic soft-iron dial, was specified to be matte black, marked with white Arabic numerals 1-12, and with white indices excepting those at the cardinal 3, 6, 9, and 12. Protected by a shatterproof Perspex acrylic crystal, the dial formed part of the soft-iron inner case which protected its large 12 ligne movement from magnetic fields. The hand-wound watch was expected to be water-resistant to 20 feet, including water-resistance under low-pressure at operational altitudes. As a necessarily high-accuracy navigation timekeeper, all 6B/346 watches received short Observatory trials before being issued. Manufactured by present-day elites IWC and Jaeger-LeCoultre, vintage examples are prized by today's military watch collectors. Issued by the RAF from 1948 to 1952, and by the RAAF in the early to mid 50s, it was briefly succeeded by the slightly larger 6B/542 in 1953, manufactured by Omega and Smiths. Though smaller, the American A-17 was of course a similar watch, and introduced the 24 hour inner ring now considered characteristic of American military watch design. Alas with the onset of the jet age the Navigators watch entered a kind of twilight, replaced in many nations by the pilots chronograph, and in civilian usage by the pilots GMT wristwatch. 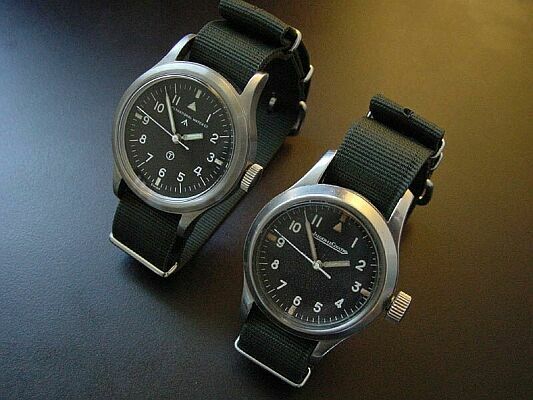 Yet the classic form of the Navigators watch lived on: Both the A-17 and 6B/346 became templates for the basic military field watch designs of their respective nations as center-seconds became commonly available, and IWC sold the 6B/346 to the civilian market (without military markings) up until 1984. The International Watch Company has also been instrumental in reviving the form in our time. One of the strongest or at least most prevalent themes of the present "High Mechanical Renaissance" (Mao), is that of military-styled wristwatches. It could be argued that the IWC Fliegerchronographs first introduced in 1988 were seminal in turning "military" watches into luxury watches, and creating a new cult of the "pilots" watch. Of course, most self-styled commercial military watches have little to do with the military-issued designs of the past, and in truth just about anything with a black dial and white Arabic numerals has acquired this appellation in common marketing and collector usage. Quality adaptations of the pure Navigators design to modern usage is something rare within the new fashion, but its spirit has not entirely been lost. The Mark XII introduced by IWC in 1993 merged the practical gentlemen's automatic wristwatch with date guichet of the 1960s, with the larger size and pure functionalism of the 6B/346 Navigators design, fully fitted with amagnetic protection. Through the Mark XII the precision aviation timekeeper became a practical and timeless civilian wristwatch, well suited to the business and casual use of today's affluent white-collar middle class. The finest adaptations of our time have followed this methodology, including the simple automatic Glashütte Original Navigators which echo the design of the rare Beobachtungsuhren, and IWC's robust Mark XV which takes a middle path between the 6B/346 and 6B/542. Not all are necessarily so luxurious: The inexpensive Seiko SUS "military" automatic shown above was only produced briefly by Seiko for its home market, yet it has achieved a kind of cult status with otherwise focused military-issue wristwatch collectors. The popularity of the Navigators purposeful stark clarity has spread its design ethos from today's inexpensive and disposable composite-cased military-issue field watches, all the way to an unprecedented usage in the tourbillons and repeaters of haute horlogerie. Some brands have recast themselves and their image around the pre-quartz military watch heritage, and so we find ourselves inundated in "flieger" this and "pilots" that from all quarters and levels, both high and low. As a subset of the broad field of commercial military-styled wristwatches, the Navigators watch retains a special elite status, and an austere purity that defies the "more is more" consumerism of our age. Within the larger revival, it remains a unique harmony interwoven through the whole. Over the last half-century modern man has found himself in a world increasingly stripped of its physical challenges. 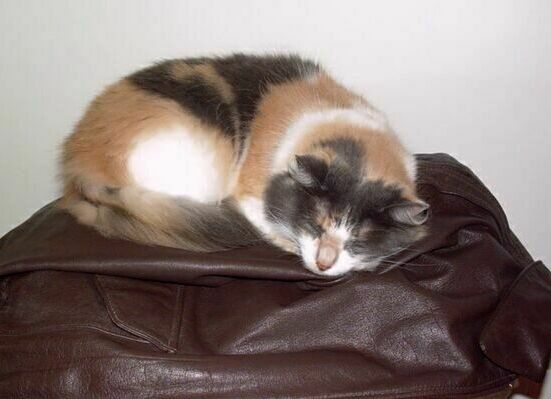 All that can be explored has been: All the dragon infested oceans sailed, all the dark continents crossed. We find ourselves in a plastic disposable consumer culture, living from purchase to purchase, paycheck to paycheck. Our connection to the world becomes increasingly vicarious, experienced through entertainment media, or seen through the window of climate-controlled cars. The old methods of exploration have become increasingly technology-laden forms of pre-packaged tourism for an affluent middle-class. "Political correctness" has constrained socially-acceptable thought, action, and speech. Yet a few icons of a lost or forbidden masculinity have resurfaced over the past two decades: chinos, leather flight jackets, and the Navigators wristwatch. They are artifacts from the last of the great wars, and a short period thereafter, when things were clearer, when things were made with purpose. I think it is this authenticity which we crave. An authenticity in craft and purpose which elevates the Navigators' watch to a special status in a time where these values have all but passed away. There have been many attempts within the ephemeral fashion world to replicate this essence over the last couple of years, including vaguely military-inspired wristwatches from big names like Calvin Klein and Donna Karan, and the present proliferation of so-called "bomber jackets" from all quarters. Ralph Lauren has begun to blend its standard image and marketing of a mythical Anglo-American squire's "country life," with the semi-military style of the 40s and 50s - even going so far as to sell authentic military-issue watches in shops and on its website. As with all fashion, "this, too, shall pass away," and the lemmings which follow will dive off of whatever cliff is presented them. But the devoted cognoscenti will remain, as will the secret brands which strive to continue the tradition of real craft and function in those icons of the past. Thus it is that the Navigators watch also remains, guiding us back to ourselves.